Access the stars from the world of professional boxing, cricket, football, golf, rugby union and tennis by viewing on demand video content at Press Bureau TV, just click on the main icons situated at the home page and the drop down menu. Watch and listen to pre and post match press conferences plus player interviews and training. At the touch of a button you can find out current sport news or look back on past events in our archive section. Find out what is happening in the Premier League, FA Cup, EFL Cup, UEFA Champions League, Europa League and England International football scene. Get inside the ropes from the world of boxing, see the delivery of cricket content, find a fair way to keep up with the talk from the top golfers on tour, as we also serve up tennis coverage before being amongst the first in the pack for international rugby union footage. Don’t miss out by chosing your favourite clips on the Press Bureau Web site and add yourself to our database by emailing us on the contact us page. Read your favourite stories in our blog site where you can keep up with all the latest journalist views and opinions. 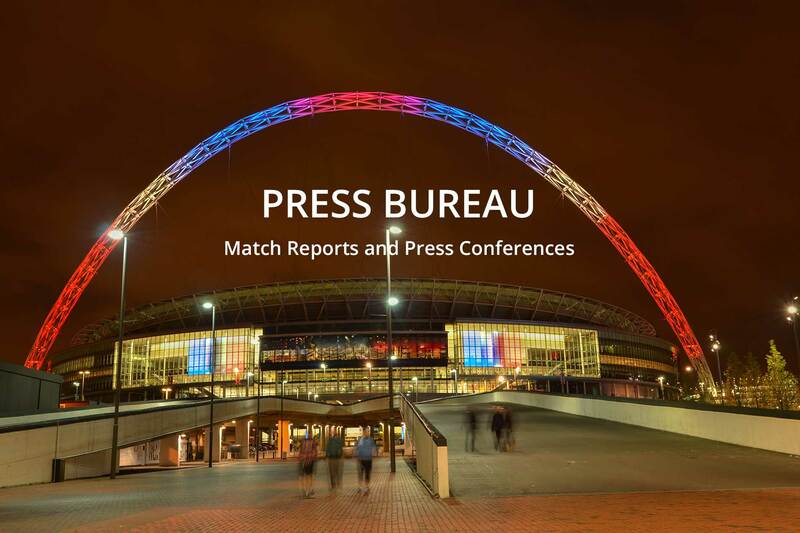 The Press Bureau is here for all your sporting needs just use all the navigation buttons through out the web site and click on your mouse when highlighting the picture to enter the channel. You can also find Press Bureau TV and our on demand videos at You Tube below.